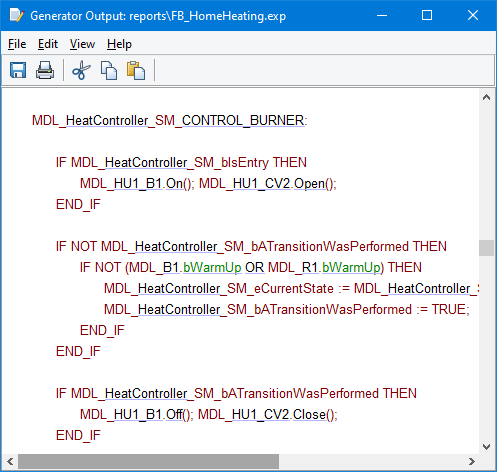 This example shows a DSM for developing heating systems and generating PLC code. 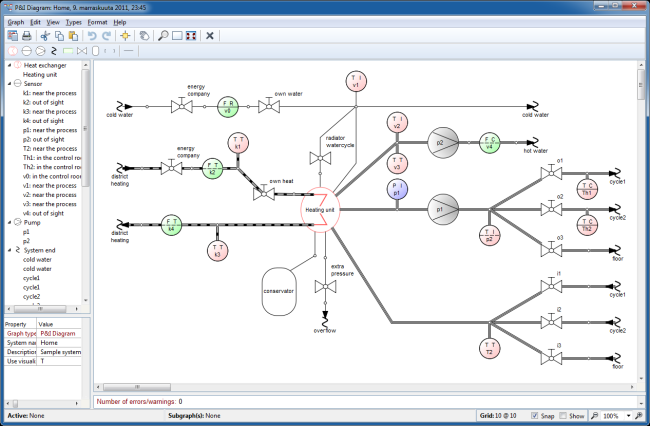 There are two integrated Domain-Specific Modeling languages allowing to specify both structure and behavior of the system. With these languages a developer can design heating applications using directly the domain concepts of the domain, like pipes, pumps, valves, pressure sensors and their related behavior like opening or closing valves. Generators are used to produce the executable code, integrated into a PLC software development environment. Generators are also used for producing installation guidelines, documentation, and model checking. 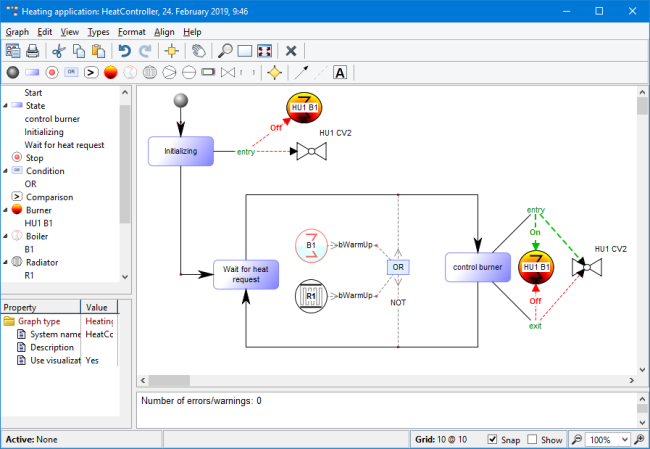 This example is included in the evaluation version of MetaEdit+ and described in a guide: Heating system: piping and instrumentation with PLC.